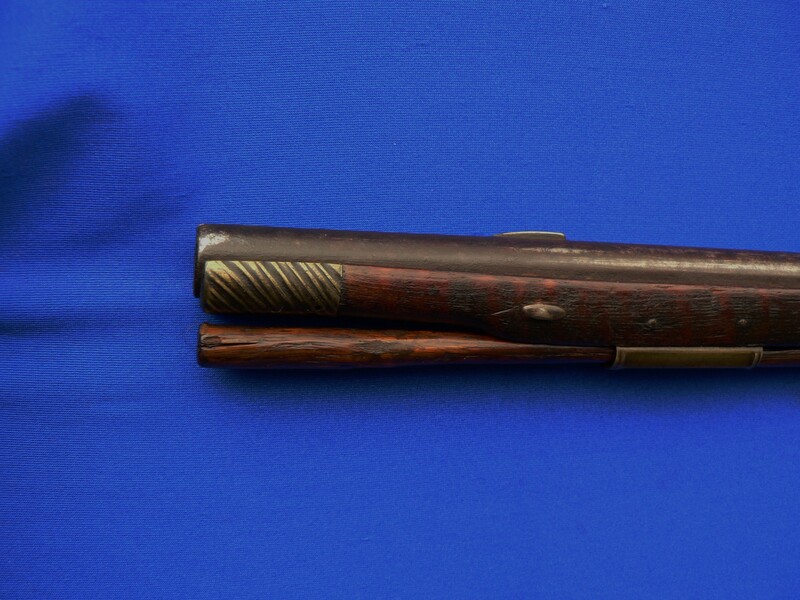 This smooth rifle is outstanding due to its 48” long barrel beautifully signed A. Schweitzer. The stock has about 50% of its original finish and is adorned with a Lancaster “Daisy head” patchbox. 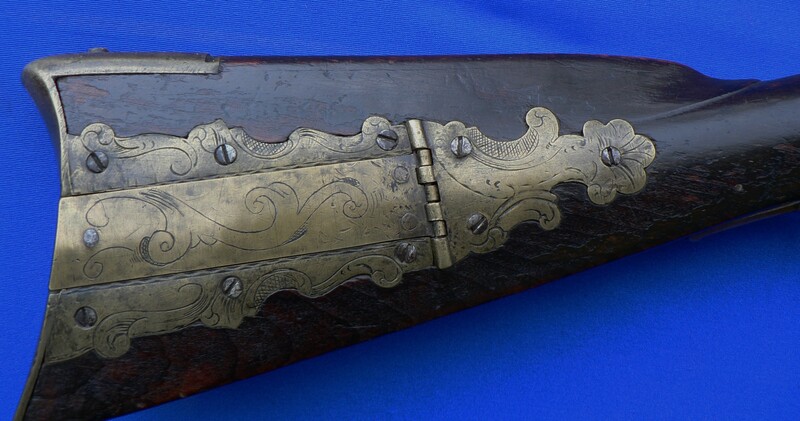 The patchbox is nicely engraved in Schweitzer’s unique style. The stock terminates at the muzzle with a chevron nose cap that is very nice. There are a few minor period wood repairs. The ram rod appears to be original to the gun. 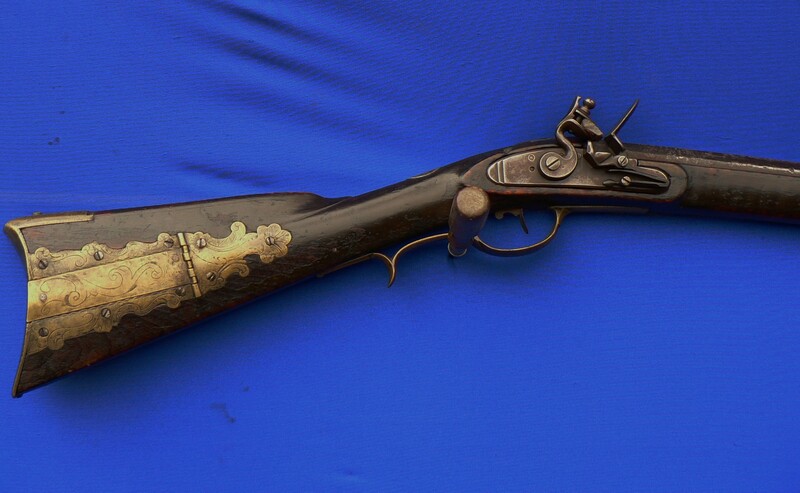 The lock may be a replacement, but fits the mortise well and is appropriate to the period of this gun. $4,900 firm + S&H.